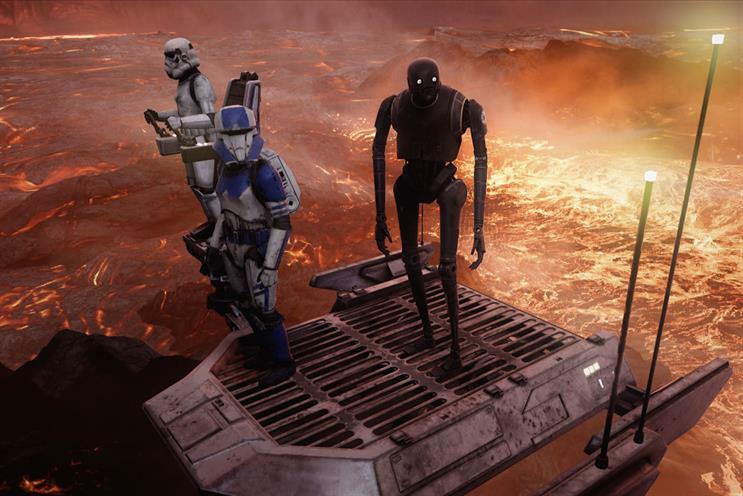 Lucasfilm's immersive entertainment division ILMxLAB and The Void have opened a first-of-its-kind hyper reality experience in London. "The Star Wars: Secrets of the Empire" experience will transport guests into the Star Wars universe, allowing them to walk through hyper reality interactive sets with real-time special effects and innovative technology. The Void, which combines physical sets with real-time interactive effects to create fully immersive worlds, will place people in teams of four. They will be disguised as stormtroopers, on the molten planet of Mustafar, in a mission to recover Imperial intelligence vital to the Rebellion’s survival. Cliff Plumer, chief executive officer of The Void, said: "These experiences allow us all to fully immerse ourselves within worlds that were beyond our reach until now. We have experienced VR but hyper reality allows you to not only see, but to hear, feel the heat and the cold, and also touch and even smell." The experience is set in a timeline that precedes Star Wars film Rogue One. Diana Williams, Lucasfilm’s story group and content strategist, said: "There is still such a mystery around Vader and there remains so much to learn about him. This marks the first time that the Rebels are encountering him, so it is a story that is accessible to all, from guests wanting an incredible experience through to our core fans." The experience will run until 7 March in The Atrium at Westfield London. and is also currently running at Disney Springs, Orlando, before moving to Downtown Disney District in California in January 2018.